^ Richmond, Colin (2004). 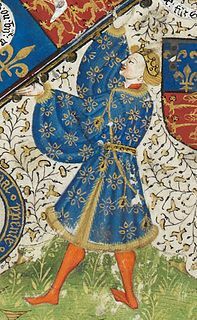 "Beaufort, Edmund, first Duke of Somerset (c.1406–1455)". Oxford Dictionary of National Biography. Oxford: Oxford University Press. doi:10.1093/ref:odnb/1855. (Subscription required (help)). ^ Griffiths, R.A. (1984). 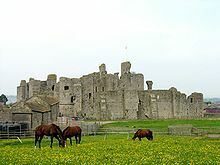 "The King's Council and the First Protectorate for the Duke of York 1450-4". English Historical Review. xcix: 67–82. doi:10.1093/ehr/XCIX.CCCXC.67. JSTOR 567910. (Subscription required (help)). ^ Harriss, G. L. (1960). "The Struggle for Calais: An Aspect of the Rivalry between Lancaster and York". English Historical Review. lxxv (294): 30–53. doi:10.1093/ehr/LXXV.294.30. JSTOR 558799. (Subscription required (help)). ^ a b Horrox, Rosemary (2004). 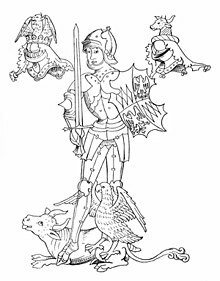 "Neville, John, Marquess Montagu (c.1431–1471)". Oxford Dictionary of National Biography. Oxford: Oxford University Press. doi:10.1093/ref:odnb/19946. (Subscription required (help)). ^ Hicks, Michael (2004). 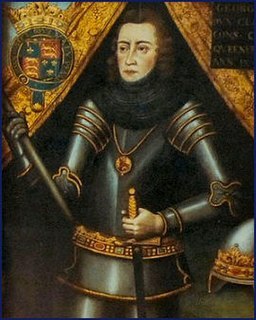 "Neville, George (1432–1476)". Oxford Dictionary of National Biography. Oxford: Oxford University Press. doi:10.1093/ref:odnb/19934. (Subscription required (help)). ^ Scofield, C.L. (1922). 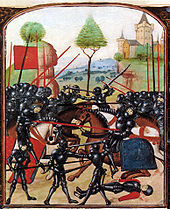 "The capture of Lord Rivers and Sir Antony Woodville, 19 Jan. 1460". English Historical Review. xxxvii (146): 544–546. doi:10.1093/ehr/XXXVII.CXLVI.253. JSTOR 552360. (Subscription required (help)). ^ There has been debate over Warwick's actual involvement in the plot; Holland, P. (1988). 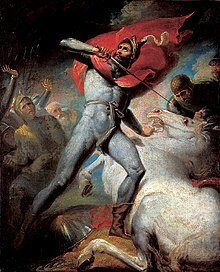 "The Lincolnshire Rebellion of March 1470". English Historical Review. ciii: 849–69. doi:10.1093/ehr/CIII.CCCCIX.849. JSTOR 570259. (Subscription required (help)). Cokayne, G. (1959). G.H. White, ed. The Complete Peerage. 12.2 (2nd ed.). London: St. Catherine Press. Harriss, G.L. (2005-01-27). 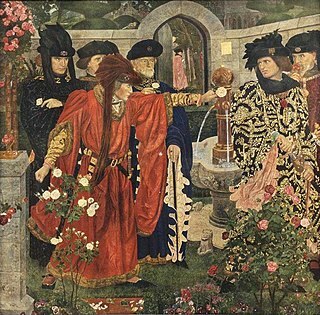 Shaping the Nation: England 1360–1461. 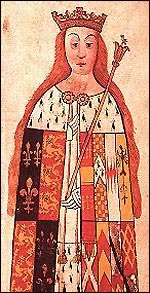 New Oxford History of England. Oxford: Clarendon Press. ISBN 978-0-19-822816-5. Hicks, Michael (1991-07-01). 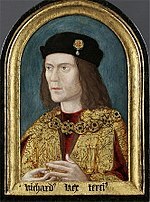 Richard III and his Rivals: Magnates and their Motives in the Wars of the Roses. London: The Hambledon Press. ISBN 978-1-85285-053-1. Thomas, A.H. (1938). Thornley, I.D., ed. The Great Chronicle of London. London: Guildhall Library manuscript. Commynes, Philippe de (1972). Jones, Michael, ed. Memoirs: The Reign of Louis XI 1461–83. London: Penguin. ISBN 0-14-044264-2. Archived from the original on 7 February 2013.